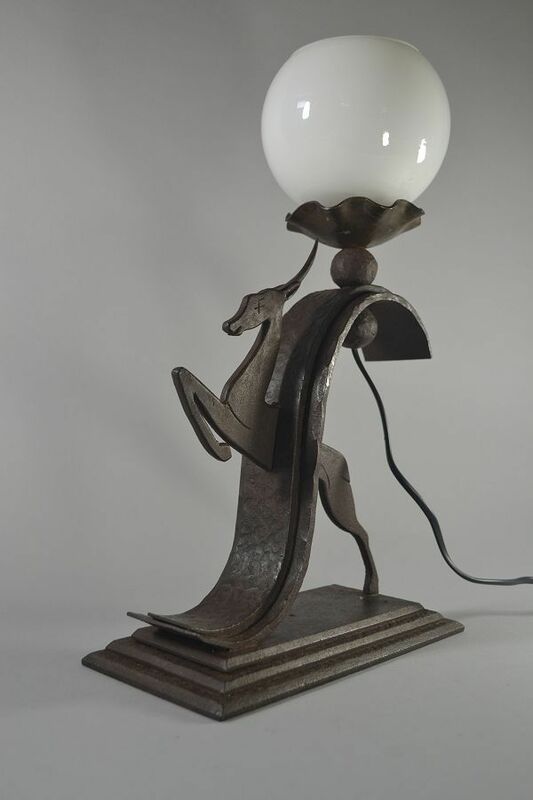 Michel Zadounaisky (1903-1983 Russian) art deco wrought iron lamp. 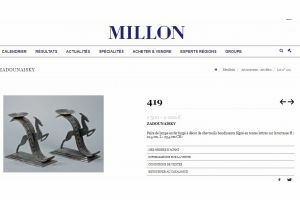 Michel Zadounaïsky was well known in his own time, and is duly recognized today, for his meticulous execution of wrought iron furnishings and artwork. 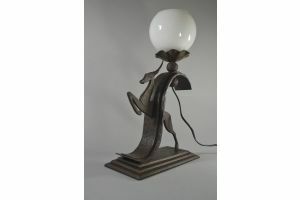 Having learned the trade at a very young age, he became devoted to the medium, eventually attracting the attention of the wealthy French elite of the 1920s and 1930s. 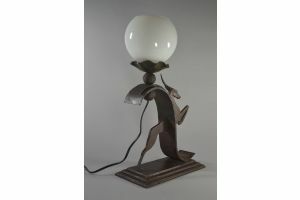 The artist’s level of craftsmanship and intriguing designs single him out as one of the most unique and expressive voices of the French Art Deco. Zadounaïsky was born in Odessa, a Black Sea port of the Russian Empire, in 1903. In 1916, when Zadounaïsky was only thirteen years old, he and his parents emigrated to Lyon, France. Rebellious to the core, Zadounaïsky ran away from home three years later to attend the Beaux-Arts de Lyon. 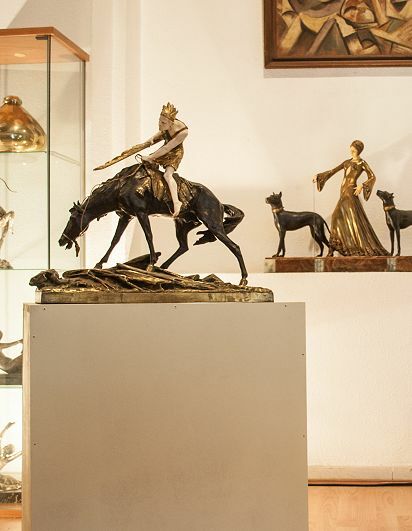 Though he quit after less than a year, the artist was able to make lasting connections with Art Nouveau contemporaries such as André Sornay, Claudius Linossier, and Christian Krass. 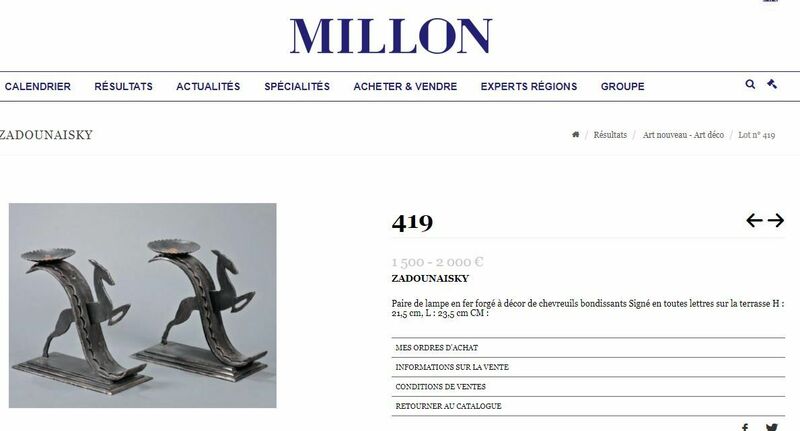 Out on his own, Zadounaïsky was intent to learn the art of blacksmithing. Devoting four years to the craft, and apprenticing with the Fournet chandelier makers, he was finally able to open his own enterprise. 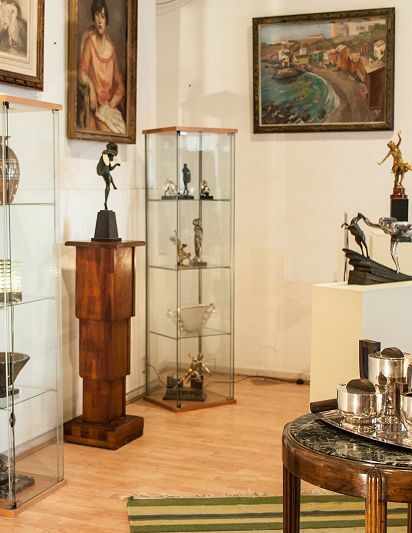 Going into business for himself, Zadounaïsky was able to explore his artistic leanings. 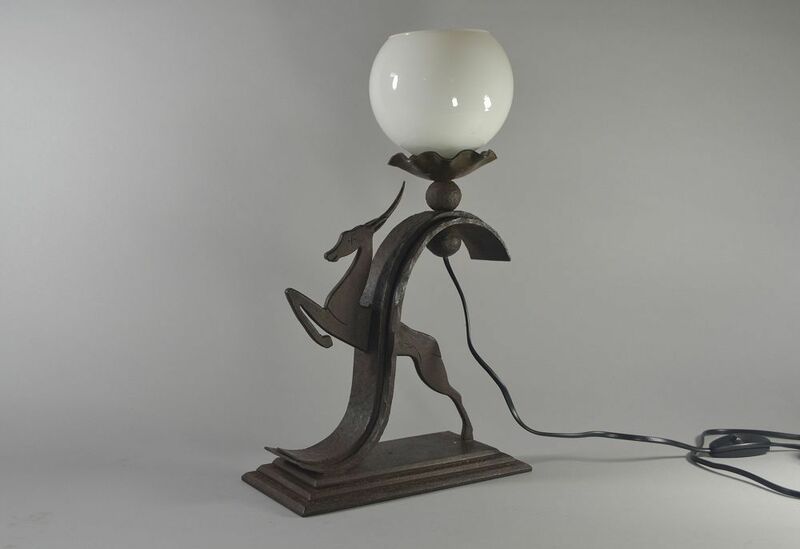 During the 1920s, he developed his well known style, characterized by curves, interlacing patterns, and sharp points. Zadounaïsky was heavily interested in animal motifs—particularly snakes—and this left a large impact on his body of work. 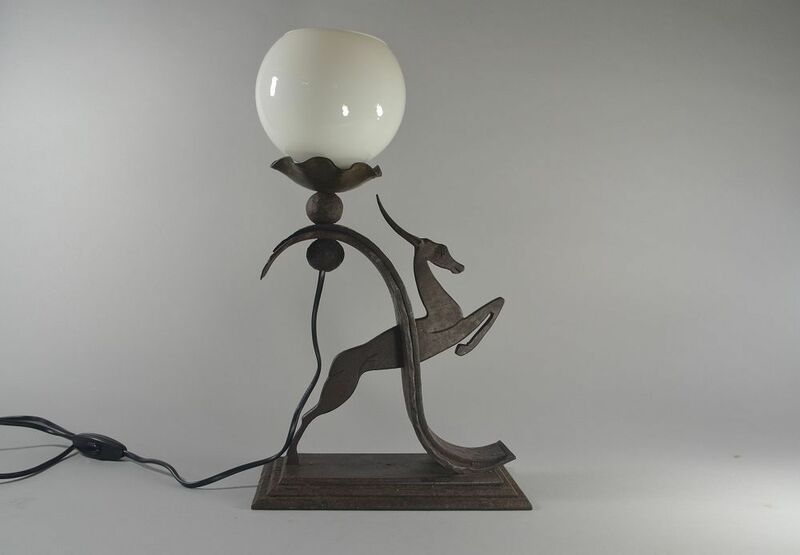 Zadounaïsky’s work gained recognition as he continued to create singular pieces which were bold and functional. 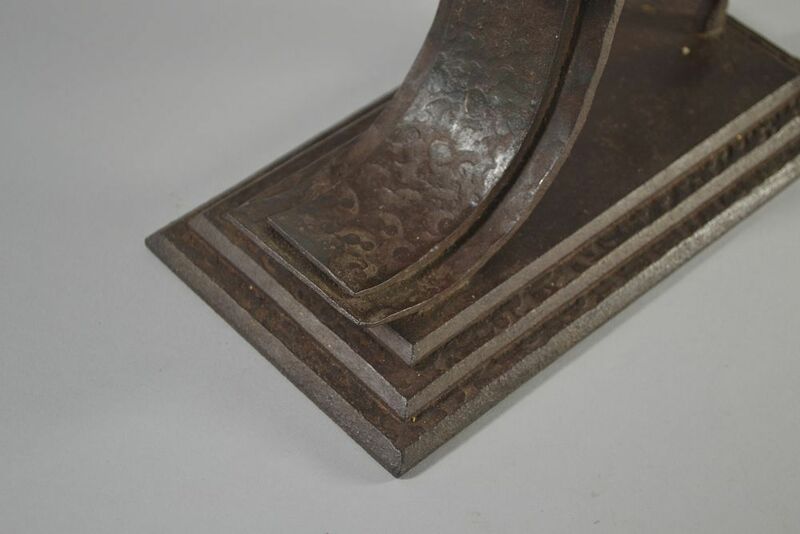 Considering himself a true craftsman, Zadounaïsky was involved in all stages of production, from drafting to fabrication. The artist’s work gained recognition from as monumental a contemporary as Raymond Subes, who extended several offers of employment and collaboration. 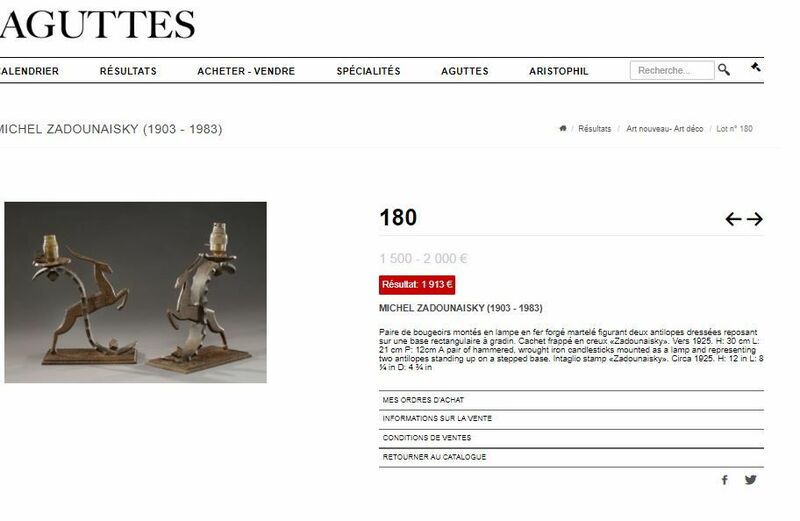 Just like his contemporaries, Zadounaïsky was active in exhibiting his works. 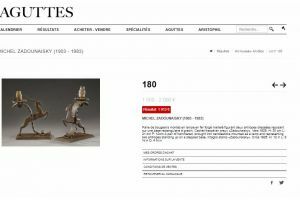 At the 13th Salon des Tuileries in 1935, his pieces were noticed by Ferdinand-Antoine, the Viscount de Lacroix-Laval. 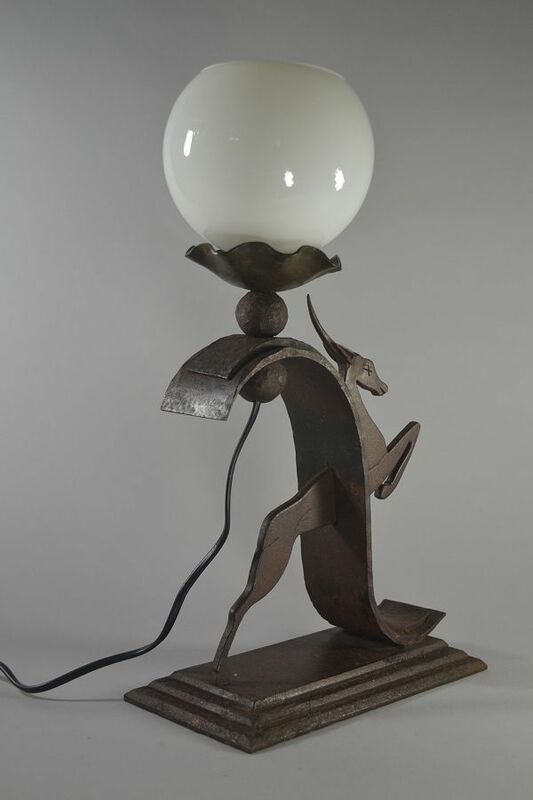 The nobleman’s enthusiasm for the artist’s work led him to commission Zadounaïsky to create several pieces of lighting for his chateau at Noailles in south-central France.